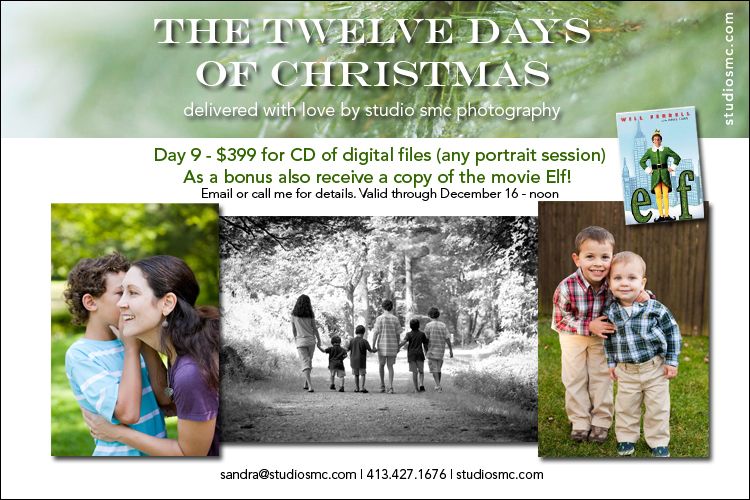 studio smc photography | Sandra Costello: Day 9 - Portrait Session on CD and a BONUS! Day 9 - Portrait Session on CD and a BONUS! Today's special gift comes with a bonus: the movie Elf!!! For those of you who love the movie this is big news, and for all of you who have never seen it this could be the best Christmas ever:) Enjoy!